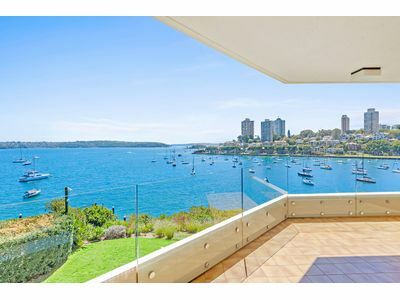 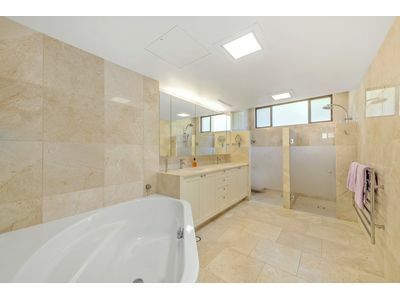 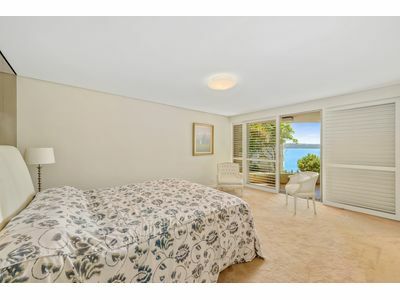 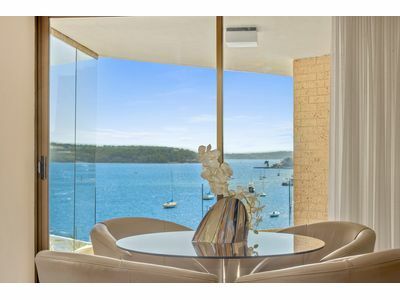 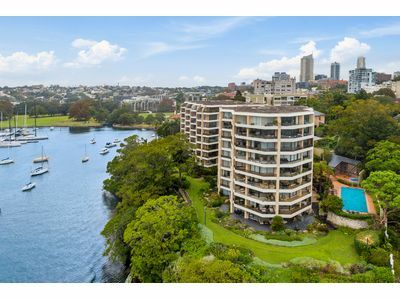 In a tranquil waterfront position with NW aspect and magnificent views across Sydney Harbour to Mosman, Manly and The Heads, this impressive 248sqm house-size apartment is set in the exclusive north building of Kincoppal, one of Mirvac’s finest complexes with 24-hour monitored security, established gardens and sundrenched pool. 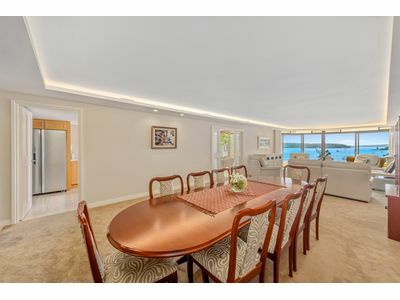 Superbly renovated by renowned architect William Zuccon, the 3 bedroom apartment features ultra spacious living and dining areas flowing to a north-facing alfresco entertaining balcony. 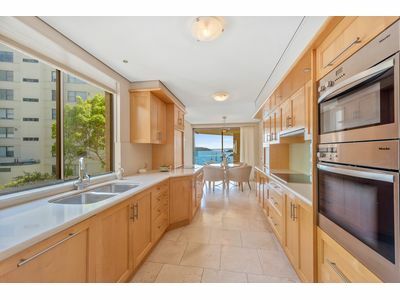 Also opening to the balcony are a casual dining area and gourmet de Gabrielle kitchen with Miele appliances and walk-in pantry. 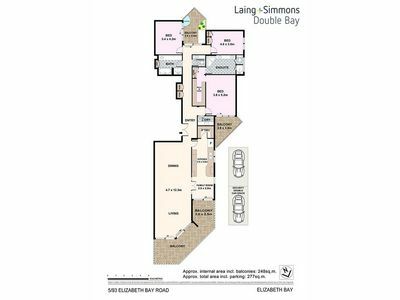 The generous layout includes a spacious main bedroom (w WIR, ensuite and balcony), 2 more double bedrooms, 2.5 marble bathrooms and laundry. 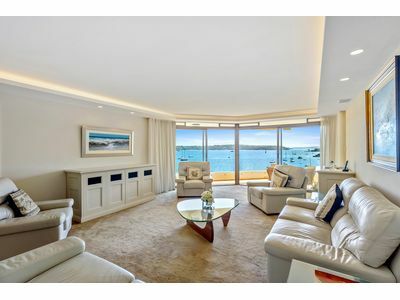 With luxury finishes throughout, the apartment features ducted r/c air-con, designer lighting, custom cabinetry and level lift access to lobby and 2 car spaces in the secure parking area. 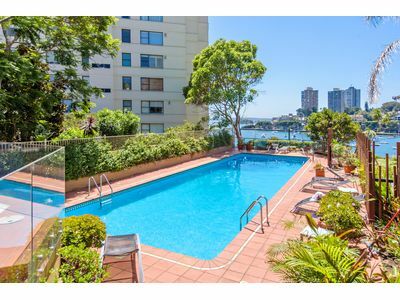 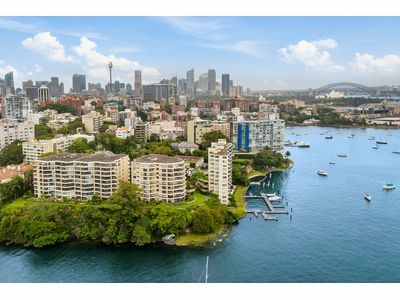 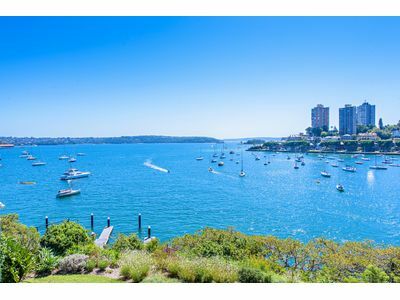 Situated in one of Sydney’s most sought after harbour enclaves, the property presents an elite lifestyle with a short walk to Rushcutters Bay Park and Potts Point’s celebrated café and dining scene.